After seeing so many of you falling in love with the birthstone choker and asking for more variations, it was clear to me: let’s add some new delicate pieces to the collection. You can either pair my new pieces with your birthstone choker, layer them with other pieces of my Written In The Stars collection or just rock them on their own. These delicate studs are just timeless in design and style. They fit perfectly with the existing choker but also shine on their own. The design is so dainty to have you never taking your birthstone studs off! This new addition is for all ring lovers out there! The ring band is so delicate it fits perfectly the star and the stone. And, of course, it’s available in all 12 birthstone colors! 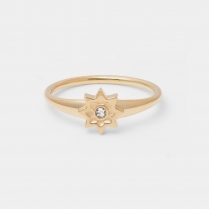 By the way, you can beautifully stack it with other rings you own. Style tested and approved – check out my instagram for some inspiration! The birthstone choker was the star of my last launch, and that’s why it is now also available in longer chain sizes - say hello to the birthstone necklace! It is available in 2 new sizes and fits perfectly with the rest of my Written In The Stars necklaces. Layer attack! Click on your stone and find all new designs available! 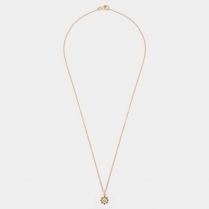 My beautiful constellation necklace is now available in a new and delicate finish. I love both looks: the understated matte and the delicate glossy. And as I couldn't decide, I just said, let's offer both! Each one of the pieces is made using 925 Sterling Silver and is plated in rhodium, 18 carat gold or rose gold. The Written in the Stars jewellery pieces are not massed produced, every item is made just for you, which is what makes them so special! They are even hand finished in Europe, ensuring the finest quality for you. Whether it is for yourself or a gift for a loved one, our jewellery is guaranteed to bring a smile to your face.